Islantilla Golf inaugurated in 1992 and since then it has become one of the best and most well-known Spanish golf courses in Europe. 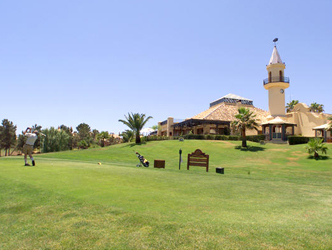 In 1995 it was the venue for the Turespaña Masters won by Alex Cejka, as well as various Challenge Tour tournaments, including the APG of Spain. This has given a great status and reputation to Islantilla, which in the year 2000 was placed among the top 100 golf courses in Europe by the prestigious magazine Golf Digest 27 holes, three different courses surrounded by leafy vegetation and impressive sea-views. The careful design of its Pencross greens and Agrostis Fairways give the course great quality and variety. The smooth slopes, the water, its landscape, its climate, turn golf into a real pleasure for all type of players and handicaps. You set the challenge.